Has Egypt finally broken with the myth of the ‘good autocrat’? Eighteen months on, it is still too early to judge Egypt’s January 25th revolution. This was a unique revolution, transforming Egyptians from spectators into true players, who are now actively involved in shaping their country. But the revolution has not changed Egypt’s old political dynamic. 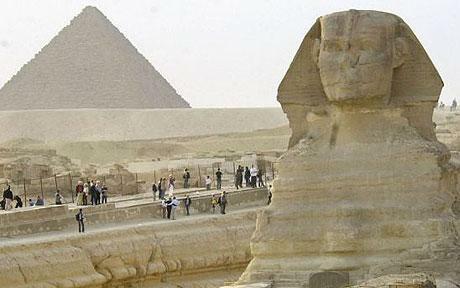 What is striking about Egyptian history, both ancient and contemporary, is how the country has been governed. All Egypt’s rulers, natives and foreigners, have shared an authoritarian mindset. They believed it was their duty to update the Egyptian culture and religion to reflect what they thought was the “right path” for their people. Saladin didn’t ask his people whether they wanted to abandon their Shiite beliefs, and Nasser didn’t obtain permission before spreading his Arab nationalism. The act of luring Egyptians to accept a leader’s autocratic rule always depended on the leaders’ charisma and skill in winning over hearts and minds. For centuries, Egyptians believed in a myth of “the good autocrat”, a myth that is as old as the Pyramids: Egyptians accepted autocracy – as long as their ruler brought justice, wealth, and security to the people. In addition, any ruler of Egypt must possess absolute control over the country’s religious and military establishment. Egyptians are deeply religious by nature. The idea that “the people of God know better” is a concept deeply embedded within the Egyptian psyche. By standing against religious authority, the ruler signed his death certificate. In ancient times, Pharaoh Akhenaten embraced a new religion and opposed the priests in Thebes; and in modern times, Sadat turned against radical Islamists. Both men had their lives cut short. It was also crucial for the ruler to exercise full control over his army and grant their loyalties. Mubarak systematically rid the nation of any charismatic army leaders who might challenge his authority. A victory on the battlefield was icing on the cake. Nothing can ignite Egyptian passion and lead them to rally behind their leader better than having a common enemy. Saladin rallied the Egyptian people to fight the crusaders, Mohamed Ali fought the radical Wahhabis, and Nasser engaged in two battles against Israel. So what has changed? Arguably, modernity was the first step in Egypt’s troubled recent history. It produced a new phenomenon: informal Islamists (Muslim Brotherhood, then later Salafists), who were not confined under the government-controlled religious authority. They promoted their own Islamic project in opposition to what they perceived as a Western-style decadent model. As a result, and for the first time in Egyptian history, autocratic leaders failed to control religious players. They tried several approaches in vain: appeasement, persecution, merger, and takeover. All failed, and confrontation was inevitable. The ancient policy of generals and preachers as one hand under one leader was transformed into the notion that generals and preachers as bitter enemies under different leaders, all consumed by lust for power, using the people to serve their interests. Mubarak tried a different tactic: a “deliberate stalemate,” freezing the country’s political and intellectual dynamic in order to stay in power for as long as possible. Indeed, it worked for 30 years, but ended in explosive fashion. Sadly, the post-Mubarak era has failed to end the old play; it just added a new act. The old dynamic is still in place but with new players. The revolution excised the tumour but failed to heal the cancer. The Egyptians woke up: they are certainly not spectators anymore, but they are still confused about their exact role. What comes next is less clear: will the new leader be canny enough to merge the generals and the preachers under his leadership? Or will they continue to battle against each other like they did in the last 60 years? Sometimes I believe that Egypt needs an exorcist to banish old demons from the minds of its people, and to kick-start a new era that’s truly different from the preceding 5,000 years of static old politics. The country needs a new political dynamic, without autocrats, generals, or preachers, with strong democratic institutions that engender respect for Egyptians as citizens. Whoever is the winner of Egypt’s presidential election, I am not sure he can and, more importantly, wants to take that role. This entry was posted in Egypt and tagged #Egypt #Presidential election #Brotherhood. Bookmark the permalink.